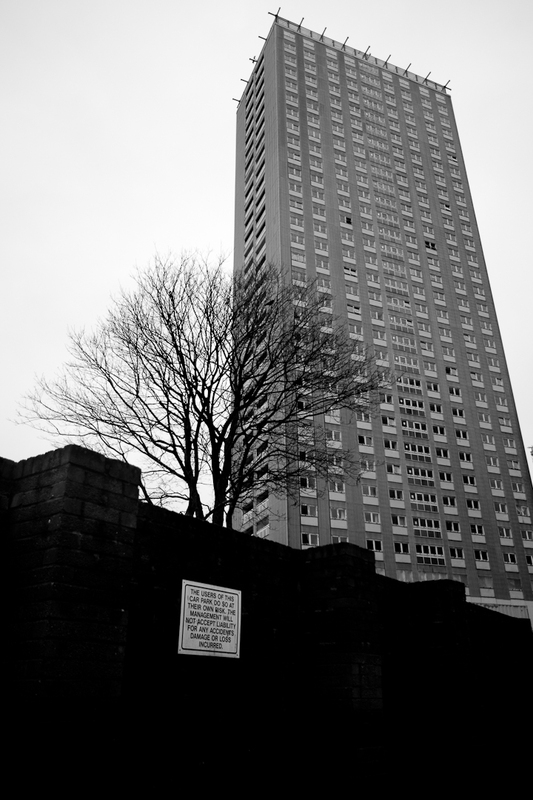 The high rise housing named the Red Road in Glasgow UK. 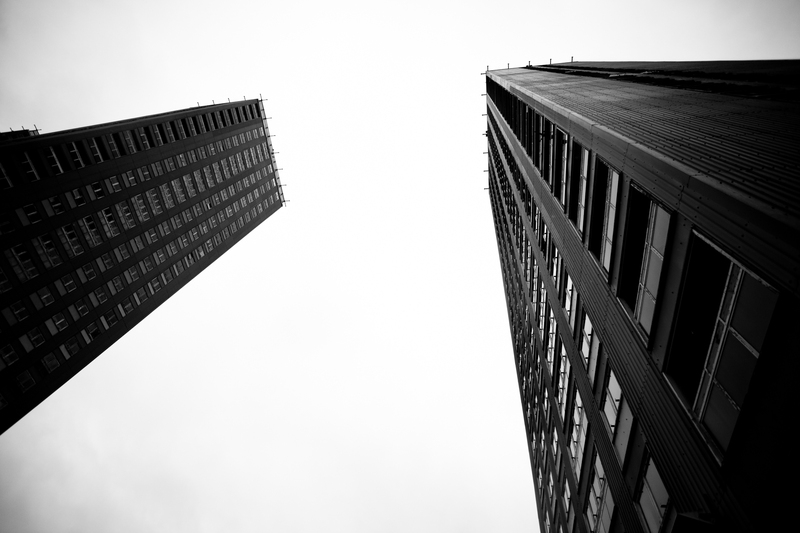 Once a vision of the future in the 1960’s, now these towers are condemned to the past. 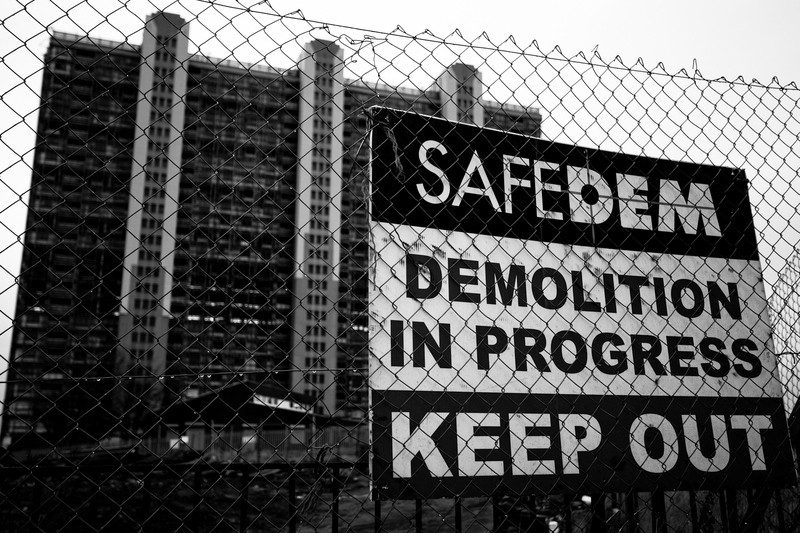 They once were the highest residential flats in Europe and now are presently being stripped and demolished. So far they are on year three out of five in the demolishing process, because of the asbestos and valuable steel used in their construction. These unusual flats where constructed in 1964-1969 from a steel frame, rather than concrete. And it was calculated that these flats together held a population of 4,700 – 5,000 people. The 1990’s saw the first Refugees from Kosovo occupy this troubled estate and more recently refugees from Africa, Asia and Europe. 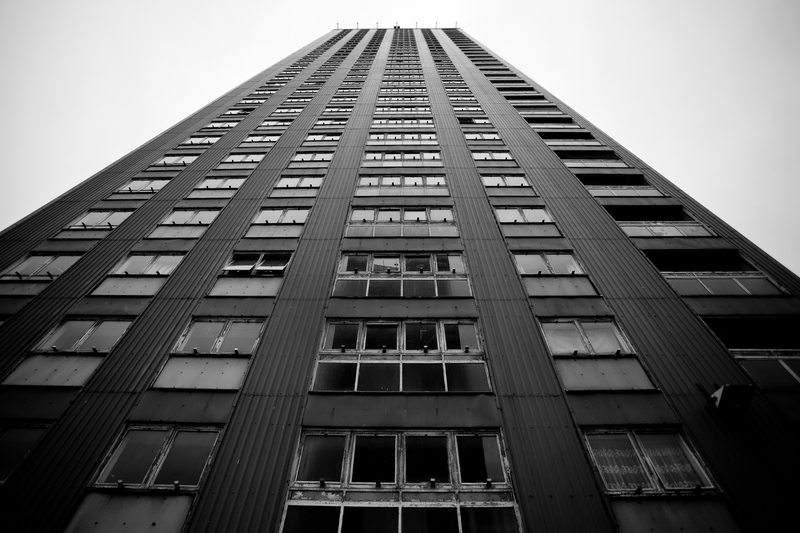 At the time of this post (18th January 2013), all the flats are empty apart from one that is occupied. 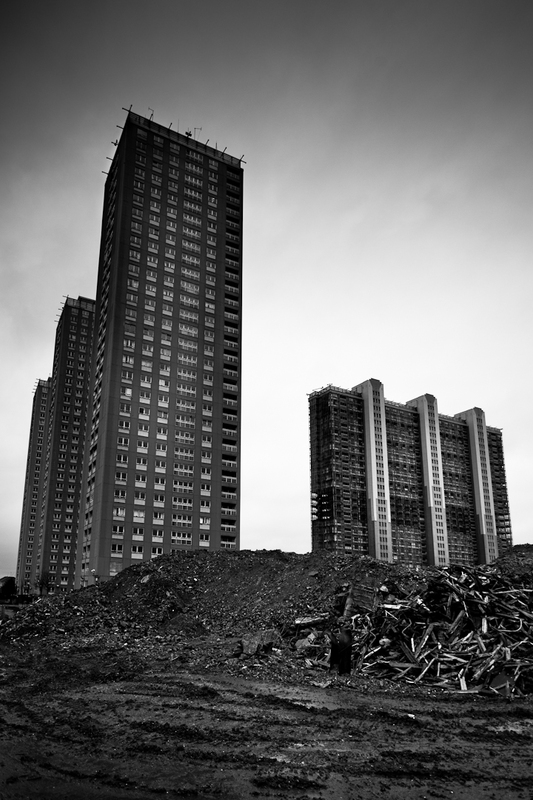 One of the monster structures has been torn down the rest of the Red Road Flats are soon to be a distant memory. I thought is was important to document the current Red Road High Rise in Glasgow, as they are slowly diminishing from the Glasgow Skyline. Despite most of the area being fenced off and dangerous, it does not stop me from photography. You are currently reading Red Road at Zeno Watson.